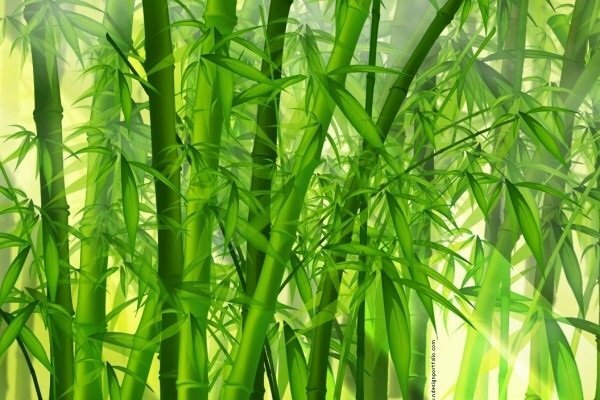 Let’s take a look at at what Bamboo Extract can do for your skin and hair, but today in particular your skin. Bamboo is the richest source of the mineral silica, one of the most important components in making collagen. In one study, patients were given silica both orally and topically for 90 days. At the end of the study, the participants’ skin showed significant improvement in thickness and elasticity. Suggested recommended dosage is taking 50 mg of bamboo extract daily. It is an important ingredient in a number of topical solutions as it is designed to help improve a wide range of skin concerns. Not only does it help to replenish collagen stores and improve skin’s flexibility, it also contains Glycosaminoglycans, known as GAGs. What are they you might say? …they are polysaccharides that exist naturally in the dermis of the skin as natural moisture factors that bind nearly 1000 times their weight in water. The most commonly known GAGs are hyaluronic acid and dermatan sulphate. When they are at their optimum level, prevent moisture loss within the skin. 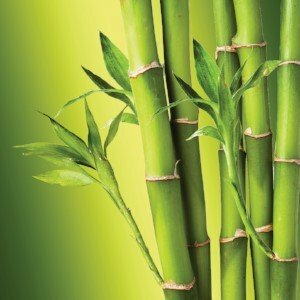 This powerful combination of benefits means that aging skin treated with products containing Bamboo Extract will start to look smoother, firmer and plumper with regular use, which is why often it is such a popular ingredient in Asian skin care products especially moisturising creams and masks. Aside from the high concentration of silica, Bamboo contains a number of natural antioxidants which can protect the skin against harmful free radicals and UV-induced damage, which ultimately contributes to a more even and radiant complexion. It is also an anti-irritant, meaning Bamboo Extract is safe for sensitive skins, providing a much needed soothing and calming benefits that can even help to reduce the symptoms of dry skin conditions like eczema and psoriasis. It can also strengthen the surface area of the skin hence you will not have sensitivity or irritation. Both our DAYTIME and STEMULATE has great amounts of Bamboo giving a dual approach for collagen, hydration giving smoother, firmer and plumper skin. These products are contained in our DAY & NIGHT Pack which will give you amazing results for your face and neck. Also remember the importance of looking after the rest of your body. We want you to experience the beautiful feel of the CELL INFUSE Organic Body Custard, which will nourish and hydrate your skin. For a limited time we are giving away a FREE 50ml Organic Body Custard when you purchase the CELL INFUSE DAY & NIGHT Pack. Click here to order now. Previous post: Can you make your skin GROW younger?